The latter part of 2015 has not been the calmest for myself or many others on the North West coast of Britain and with more storms to come I suspect this is not going to be the year for long walks across the fields to work off my Christmas excesses. However I am so very lucky. I am warm, dry, well fed and safe. My thoughts are with everyone for whom life has been less kind and I wish you all a peaceful, happy Christmas with the ones you love. The Festive season is drawing ever nearer, so to continue my theme of bringing you some sunshine, I’ve decided to share with you an incredibly simple pattern for a knitted corsage. You can really let your creativity run wild with this pattern, as it provides the starting blocks to all manner of beautiful corsages, brooches and hair decorations. It only takes around an hour to make so is perfect for making last minute gifts. An added bonus is it only takes a few grams of yarn to make one. 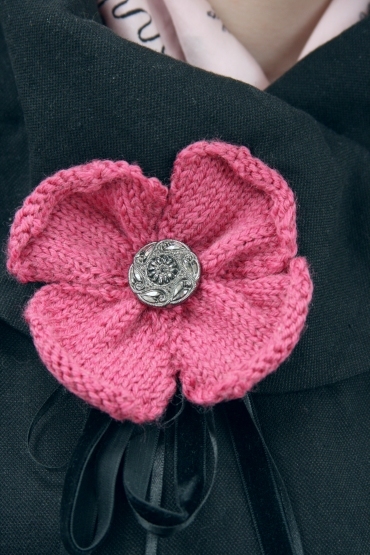 In fact you could knit the petals in different colours to use up the smallest of left overs! The pattern can be followed using thicker or thinner yarn, smaller or bigger needles, all just resulting in bigger or smaller finished items. Decorate with oddments of ribbon, lace, buttons and beads for a truly unique looking piece. You can download your PDF copy of the free pattern by following this link. Don't forget, you don’t need to be a member of Ravelry to do this. I do hope you enjoy this little ray of Yuletide sunshine! Bring Me Some Sunshine Soup! I thought I would share with you an old favourite recipe of mine which I originally shared on the blog, back in 2012, but if you haven't yet planned your Christmas menu this is a great starter to consider. Rather fittingly it looks like sunshine in a bowl! It is creamy, well flavoured but not too heavy so great for when there are multiple courses. Served with garlic bread or my favourite, soda bread, it also works as a great lunchtime filler. 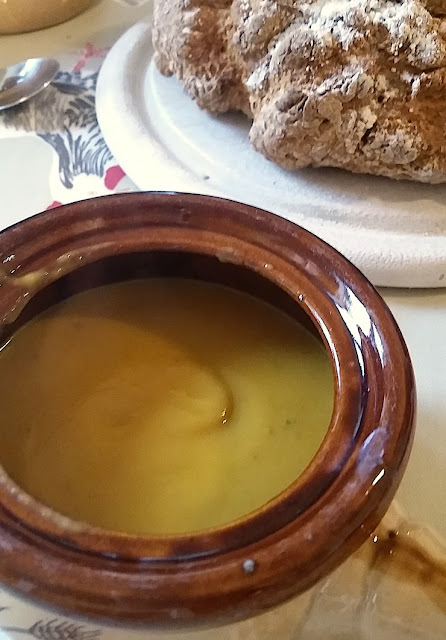 So, today’s #bringmesunshine is my Pumpkin, Sage and Parmesan Soup. Begin by melting the butter in medium sized pan with a good heavy bottom. Add the onion and gently cook for about 5/10 mins, then add the garlic for a minute or so. Next add all of the chopped pumpkin, along with the sage and a healthy grating of nutmeg. (I like a lot of nutmeg but obviously that's down to personal taste, however I think pumpkin needs plenty of other flavours added to it so don't be nervous of the nutmeg or the sage). Finally add the vegetable stock. Now keeping the heat pretty low, cook until the pumpkin is 'pulpy' stirring occasionally - mine takes about 20 minutes with the lid partly over the pan, but use your own judgement on this. Turn off the heat and either mash or preferably roughly blend the soup. I use a cheap little hand blender for this and it does the job in next to no time. Don't over blend as you don't want a completely smooth soup. Pour in the cream and gently stir. 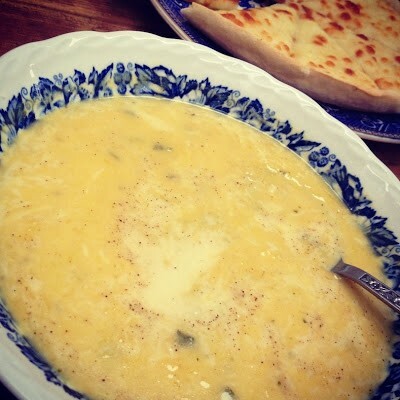 When serving add a plentiful quantity of grated parmesan all over the surface of the soup so that it melts into the soup. Add salt and pepper as preferred (you can always add the seasoning during cooking, but I like to do it at the end so that everyone gets it seasoned as they like it). This post was actually due to be published on Monday (two days ago). Unfortunately on Saturday evening disaster struck the North West coast of Britain with unprecedented rain fall causing flooding throughout Cumbria and North Lancashire. I was very fortunate. Areas of my village have been flooded and further afield friends have been cut off from the outside world or forced to abandon their homes as the flood waters have reached them. At the farm we found ourselves without power for several days. Mobile phone masts went down along with our landline telephone. We had no light, cooker or hot water. We however were very lucky. We have wood burning stoves and ample supply of wood so were able to keep warm and cook using these. Light was provided by candles and paraffin lamps but the most difficult part was communicating with the outside world. Without power though we had no way of charging up our phones or using the internet. The roads all around us were flooded, the bridges damaged and closed so we were genuinely cut off. And so, I was unable to publish my planned post until now. It did however give me more time to contemplate what I actually wanted to say. It has been difficult as I have struggled over these last few days to find the 'sunshine' that I have been trying to bring to the blog recently but despite the devastation all around me at the moment, the one thing I have witnessed and heard about repeatedly is the friendship and support people have been showing each other to help others get back on their feet, to have somewhere dry to stay, to have some warm food to eat. So I guess the 'sunshine' I'm trying so hard to find right now is just that - friendship - and that's what I want to talk about. Woolly Wormhead is an incredibly skilled craftsperson, an amazing designer and photographer but what she is to me is far more than that. Woolly is my friend. We have been friends for eight of the ten years as a Hat designer that Woolly is celebrating. 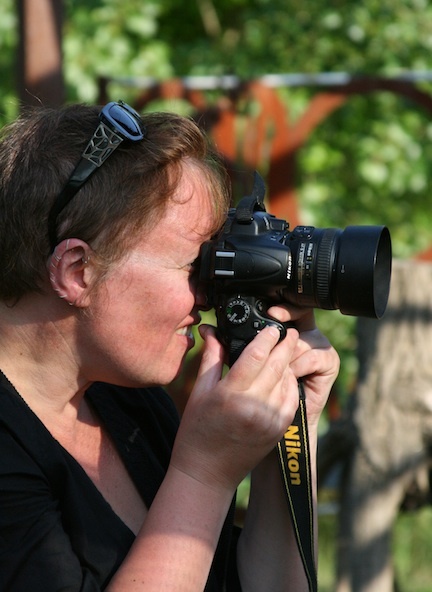 During that time I have been her publisher, her distributor, a collaborator. Gavin and Woolly have also worked together on the graphic side of things. These connections gave us the opportunity to get to know each other better. Talking regularly via email, phone, skype and enjoying the occasions when work brings us together and allows us to unwind together. Our friendship has grown over the years, as good friendships do. I travel to Italy to stay with Woolly. Woolly, Tom and Aran come and stay on the farm to escape the heat of the Italian summer. Tom and Gavin are friends and most wonderful of all Gavin and Aran are friends. Aran waking up early in the morning to accompany Gavin on the farm rounds, feeding the chickens and checking the sheep. Woolly has also become friends with my daughter, Charlie, helping her with her final film for her degree, allowing Charlie into her and her family's life so that Charlie could create a truly beautiful film about Aran's life on the 'yard'. Teaser Trailer - Mutoid from charliemoon on Vimeo. Charlie and Aran are also firm friends. Woolly supported Charlie through this, giving her advice and encouragement when the creative process stuttered. Woolly and I don't get to see each other often but we are always there for each other if needed. We have both created new lives for ourselves in a slightly unorthodox way and are both the 'bread winners' in our family group. Both of our lives are complex and sometimes difficult but having someone to talk to who instinctively understands is something everyone needs in their lives and I am very very lucky to have Woolly. 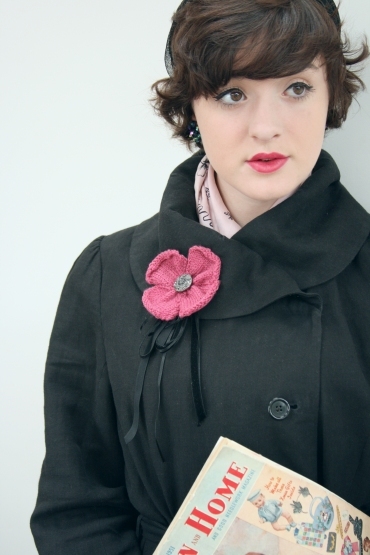 If you don't already have any of Woolly's patterns or books then you really should. From Going Straight, her first book to Painted Woolly Toppers, each and every one contains the patterns to some of the most exciting Hats design you are likely to see and Woolly's website includes some of the best technique tutorials around. I for one go back to them again and again. 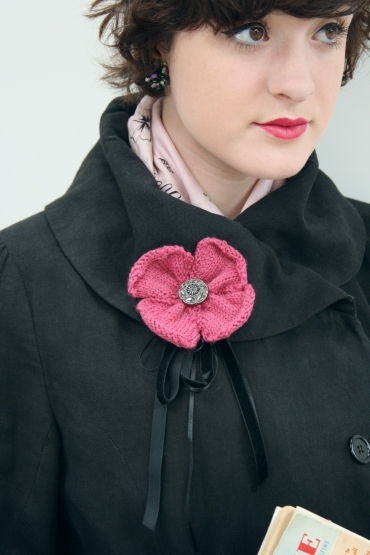 And just in time for this blog post she even has a fabulous new pattern out in the latest knitty. In the background of Woolly's stunning photographs you can just make out the time machine, an imposing structure, built by fellow artists living in Mutonia, and an important visual reference in much of Woolly's work. Time Machine Teaser from charliemoon on Vimeo. I don't know what the next ten years will bring but I do know that Woolly will continue to be creative, exciting, unpredictable and will continue to grow as a craftsperson and designer and I for one just cannot wait to see what she comes up with. Here's to you Woolly, I consider myself incredible fortunate to have you as a friend. 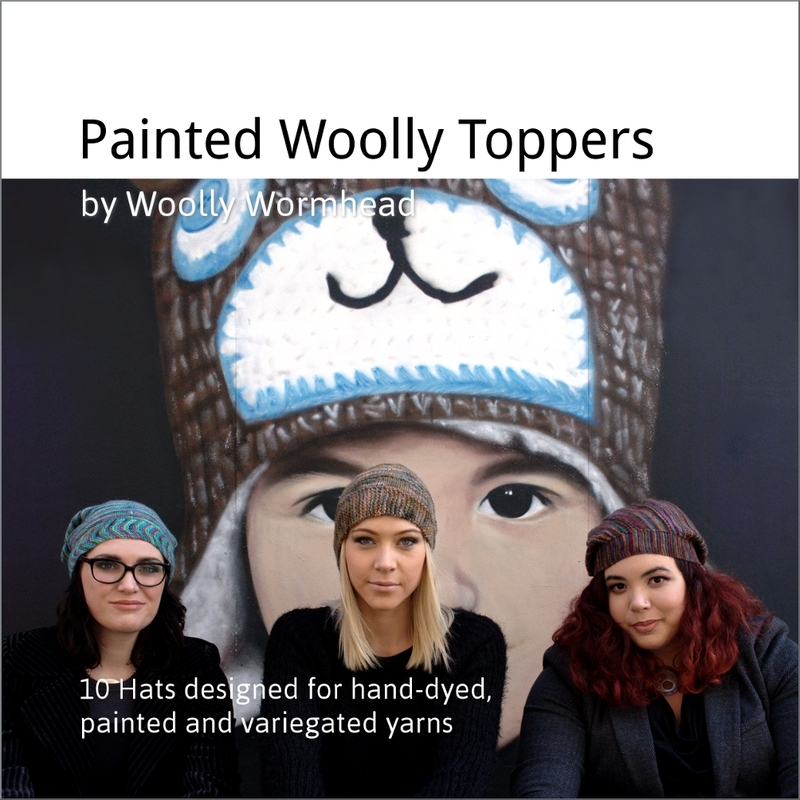 Images copyright Susan Crawford except for cover image of Painted Woolly Toppers copyright Woolly Wormhead. Film shorts copyright Charlie Moon. Not to be used without permission of the copyright holders. One of my favourite and certainly one of the easiest soups that I make is Carrot soup. Sounds boring? Not at all. It is packed full of flavour but is very easy to make and only really uses store cupboard ingredients. You can increase the quantities and freeze it in batches. I often serve it with some grated parmesan on top and some freshly baked soda bread. Finely chop garlic cloves and red onion. Add a little olive oil to large pan on a medium heat then add the garlic and onion. Sweat for a few minutes. In the meantime chop the carrots and the potato into small chunks. I usually only top and tail the carrots and certainly don't bother to peel the potato. When they're chopped add them to the pan, stir for a couple of minutes whilst boiling the kettle. Make up 1.5 litres of vegetable bouillon and add to the pan. Add dried parsley and thyme and ground black pepper and a healthy dash of Worcestershire Sauce. Turn down the heat to low and leave to simmer with the lid partly covering the pan for a good hour or until carrots and potato are soft. Remove from the heat and blend thoroughly. Can be eaten right away or can be reheated and is also great for freezing. So to get this party started here is the Bowtie Tie knitting pattern. 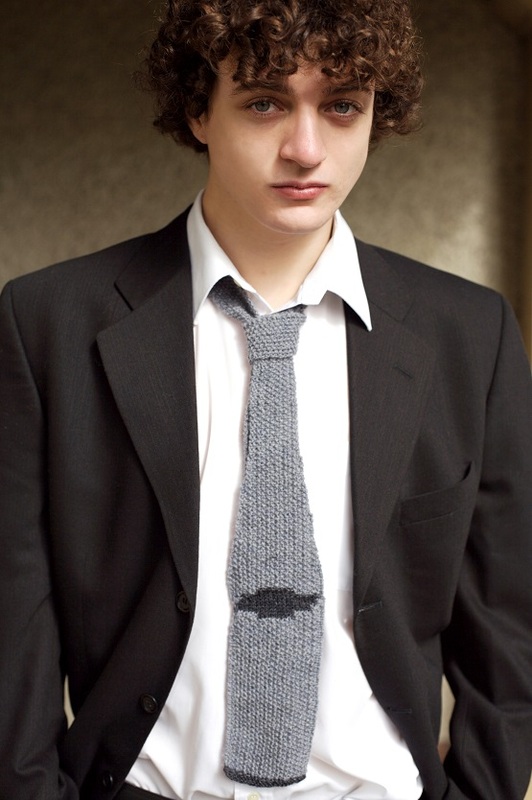 The tie is knitted in a standard 4ply yarn and can be customised to suit whatever colour or style you might fancy knitting. The pattern includes charts for two logos which can be knitted as part of the tie - the Chevrolet logo - known as the Bowtie and the International Harvester logo - known as Man on Tractor. You can knit the tie with or without the logos. You could add your own logo or knit it in one colour or striped if you prefer. The world is your oyster! The pattern also includes instructions on how to back the tie with fabric if you prefer. And the pattern is completely free. Just follow the download link below to obtain your PDF of the pattern. I hope you enjoy it. Stop by tomorrow for a delicious and simple soup recipe. Labels: bowtie pattern , bring me sunshine , free knitting pattern , susan crawford vintage , tie pattern. With Advent upon us and with so much sadness and conflict all around, I felt I needed to do something positive to bring just a little light and happiness - to the pages of my blog at least. So for the whole of the Christmas period, I will be sharing some quick posts which will include free patterns, recipes, tips and hints, favourite songs - whatever makes me happy on a given day - in the hope that it will bring a little sunshine into your day too. As I tried to think of a working title for these posts, the theme tune to the immortal comedy duo, Morecambe and Wise came into my head. As a child of the 70s and 80s I grew up watching Morecambe and Wise every Christmas. I still watch them at every opportunity to this day and I only need to see Eric Morecambe on screen for the briefest of moments to start to giggle. They are so much a part of me that I bought the videos and then all the DVDs of their TV shows so I could introduce my daughter to them and keep watching them myself. My Albert grand-dad modelled himself on Eric and to me as a child I guess they became almost interchangeable and watching Eric on TV was as though I was getting to see my grand-dad on the small screen. I now live not far from Morecambe Bay and to the seaside town of Morecambe itself, where Eric Bartholomew was born, and from where he took his stage name. The rest as they say is history. 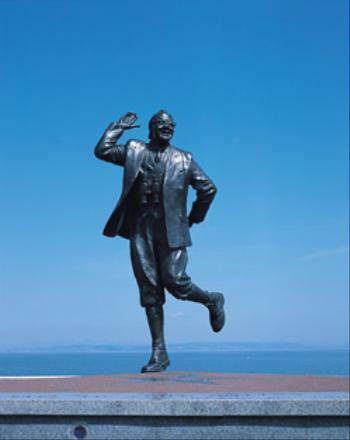 A fabulous statue now stands on Morecambe promenade dedicated to the town's most famous and most loveable son. And here are the words if you want to sing along - try it. There's something about it that cheers the soul no matter how bleak the world is around you. 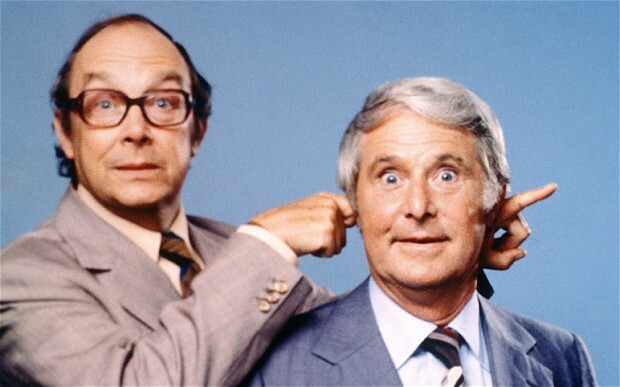 For more wonderful clips from this amazing duo, head to youtube and search for Morecambe and Wise and while away a few hours! Call back tomorrow morning for our first free pattern. Just perfect for rustling up a quick hand made gift.